Over the last 36 months, Salesforce.com has been growing at a meteoric rate. They have been hiring new employees to keep up with the demand for their product. Salesforce.com likes to treat their employees the way they want their customers to be treated. 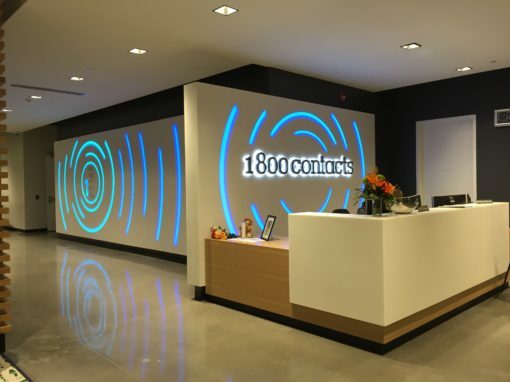 Therefore, part their philosophy includes having large employee break rooms with comfortable furnishings, big-screen TV’s and an endless supply of snacks on-hand. 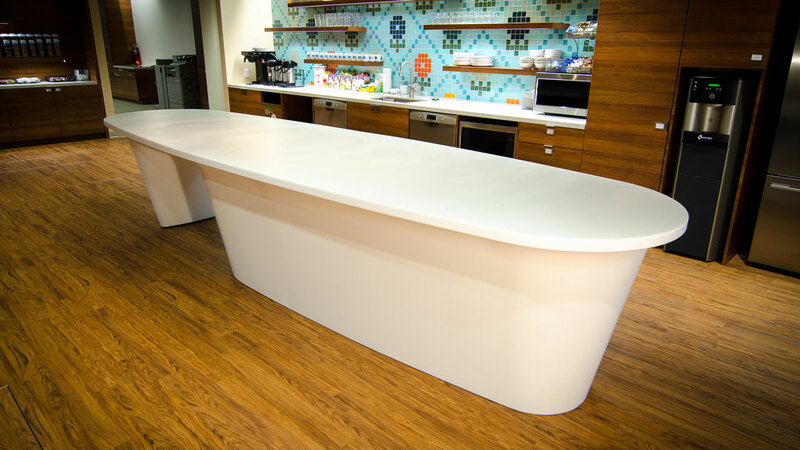 Working hand-in-hand with Gensler and The Wiseman Group Interior Design, Inc., Salesforce expressed their desire to have large kitchenette tables that would serve not only as a table, but also as receptacles for refuse, compost and recyclables. In addition, these tables needed to allow for large numbers of people to gather around them, and be ADA accessible as well. Naturally, It was also imperative that the solution be attractive, durable, and could be kept sanitary. 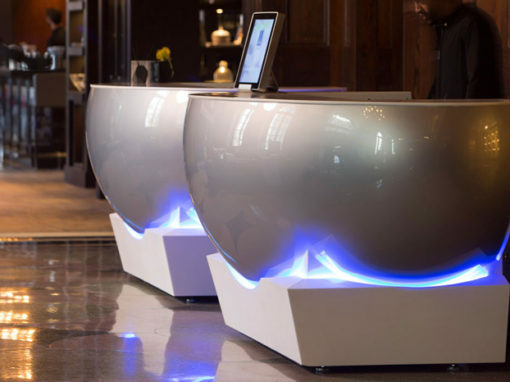 Now, all they need to do was find a company that not only were experts in complex thermoforming, sculpting and fabrication, but also could provide a turn-key solution that provided design support, project management and final installation, as well. 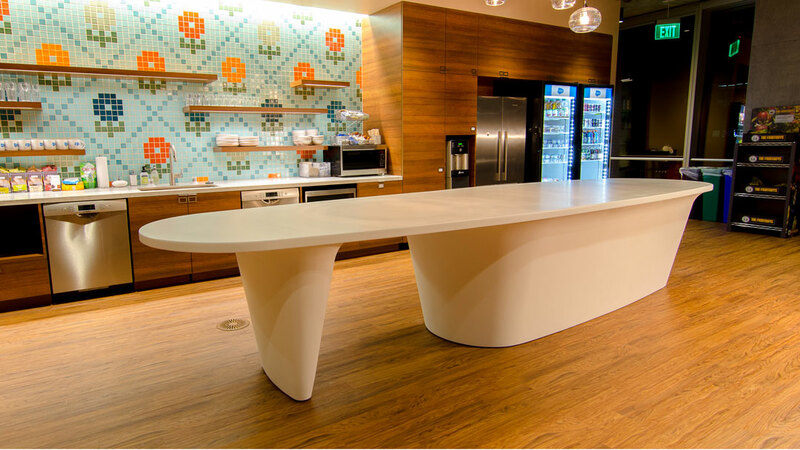 After a fairly exhaustive search for such a company with the desired expertise, Gensler and The Wiseman Group turned to the DuPont Surfaces Northern California team, who recommended that they contact surfaceLAB™. 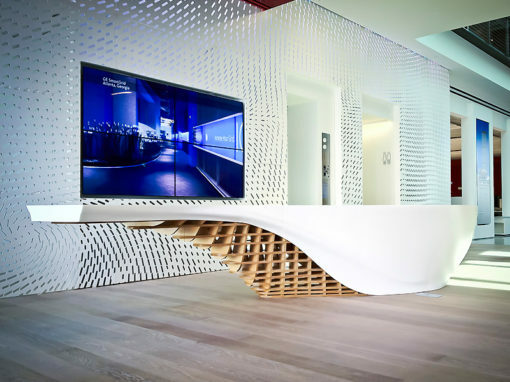 From early design phase, all the way through fabrication and installation, surfaceLAB™ was able to turn the architect’s and design team’s vision into a reality. 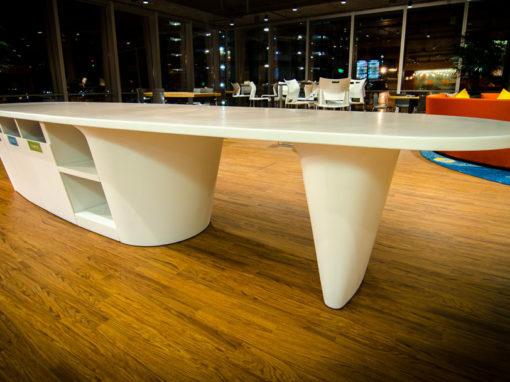 Together, surfaceLAB™, Gensler and The Wiseman Group created a design out of DuPont’s Corian® solid surface material that provided a solution to the challenge. Measuring 15 feet in length finished, meant fabricating the tables in multiple pieces that could be transported up to each floor via the elevators. This is how each table came together.